We are a leading Manufacturer of steam jacketed kettle and jacketed vessels from Bengaluru, India. We are dedicatedly engaged in offering a commendable range of Steam Jacketed Kettle. 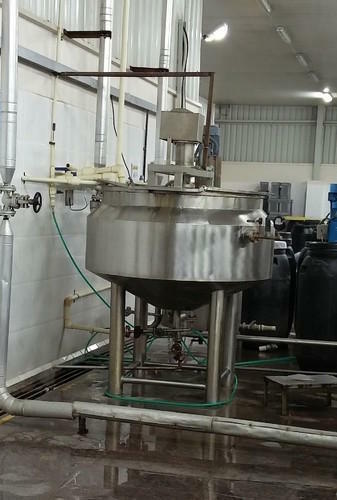 It is used in for food, pharma and gherkin processing industry for the preparation of syrup, food products like Jam, Sause, etc depends upon the application of the customer. 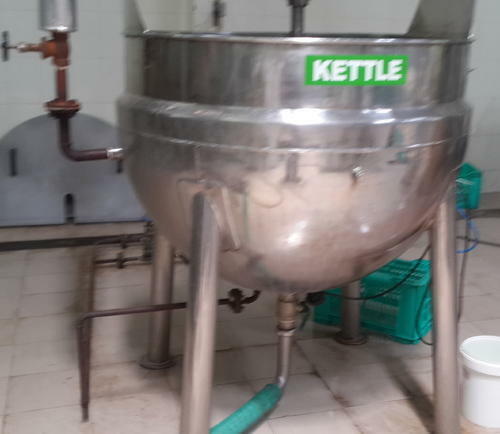 Besides being manufactured from high-grade raw material and latest technology, the offered kettle is inspected properly by our expert professionals. Owing to features like durability and sturdiness, the offered kettle is exceptionally valued by our precious clients. The offered kettle is available with us in various sizes and shapes at affordable price. Our organization has successfully expanded its business in market owing to the offered elevated quality array of Jacketed Vessels. These vessels are used for for the preparation of fruit and vegetable with ingredients in food, pharma and gherkin processing industry. The offered vessels are designed and manufactured utilizing best quality raw-material and the latest technology. Moreover, a team of our quality controllers conducts a series of quality tests on the entire array to seek out any possible defect. In tune with industry standard, we provide the entire range of vessels in different customized options and industry leading prices. Looking for “Vegetable or Fruit jacketed Kettles”?